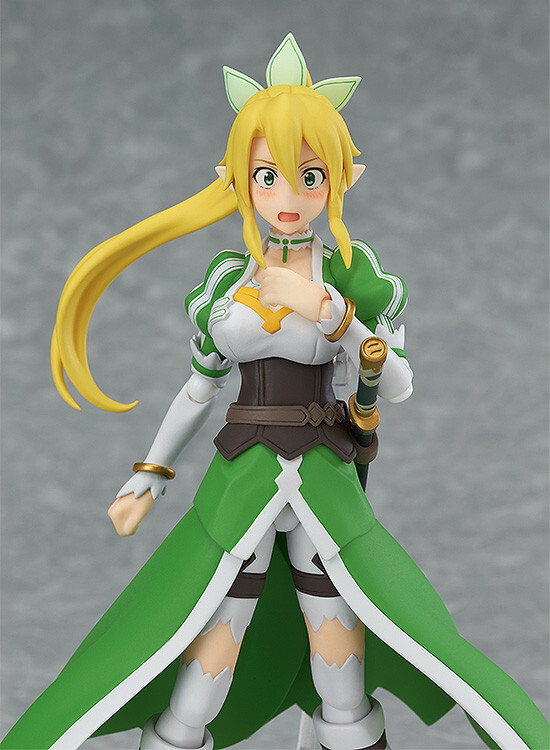 She comes with three face plates including a smiling face, a courageous shouting face and a cute embarrassed expression. 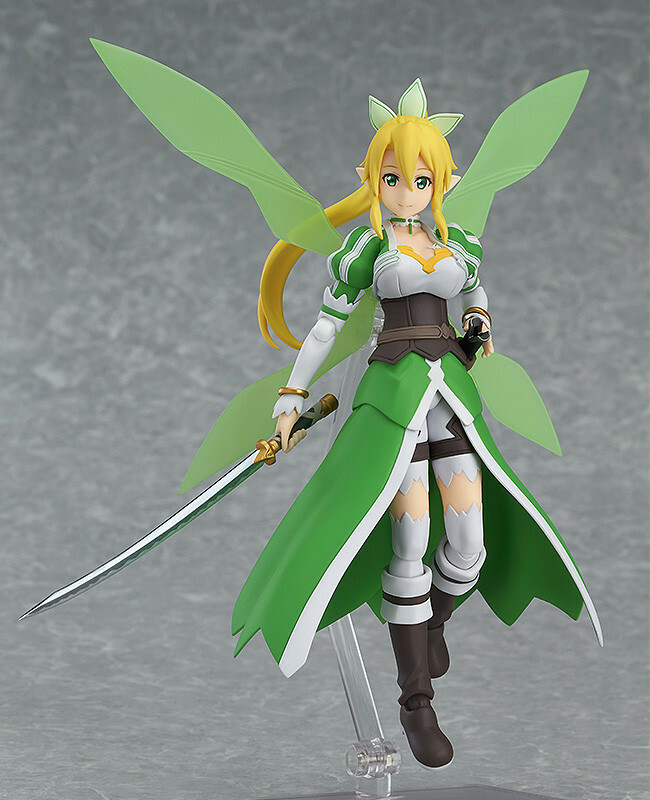 Optional parts include her long sword, the medallion needed to obtain Excalibur as well as articulated wing parts. 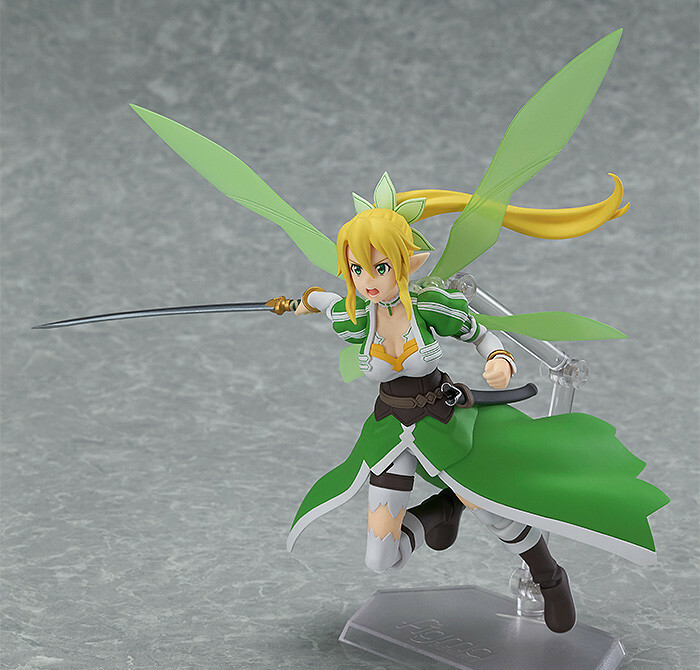 She comes with holding hand parts to use with figma Kirito: ALO ver. 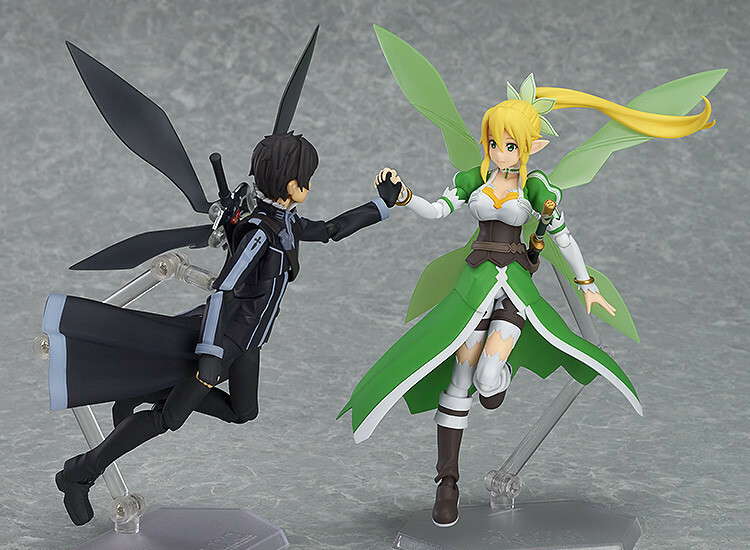 to recreate their dance scene. 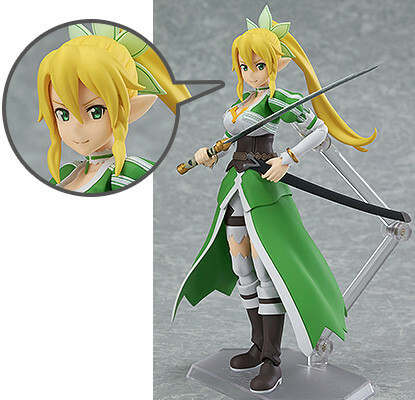 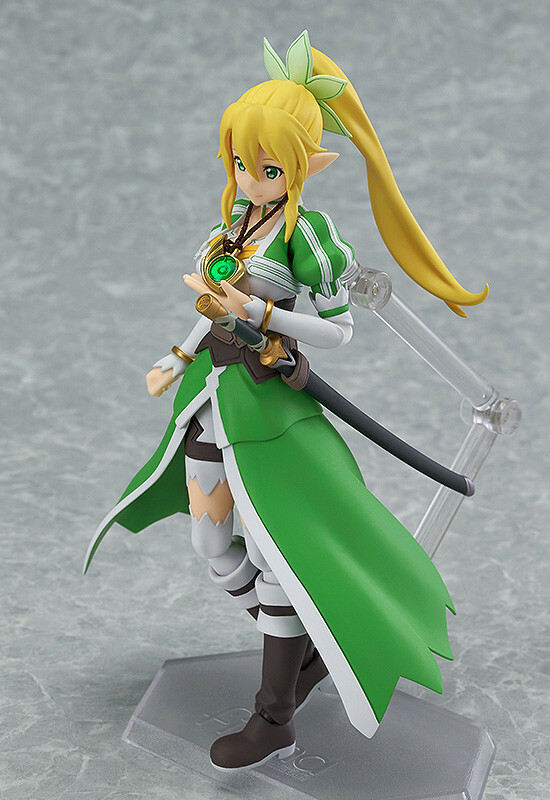 Preorders of figma Leafa from the GOOD SMILE ONLINE SHOP will include a Grinning Expression as a bonus!